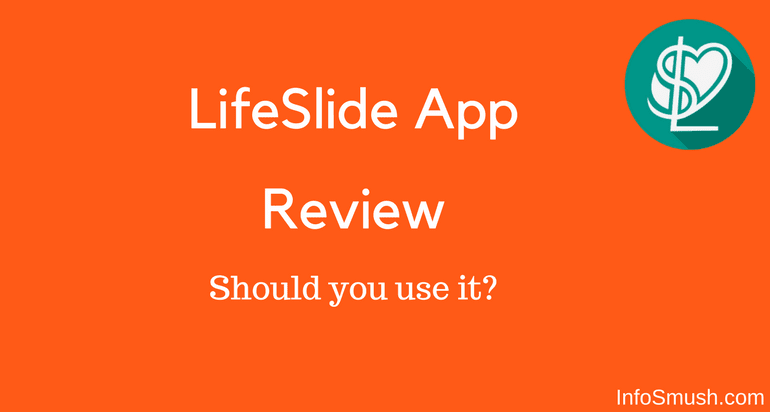 LifeSlide is another app that pays you for viewing Promotional content or Ads on your smartphone's lock screen. In many ways, this app is similar to Slidejoy(that I've reviewed here) but there are many features of LifeSlide that make it unique. But do they make it better or worse? We'll find out in this LifeSlide review. One of those features is the sign-up bonus you'll get for entering a promotion code. And you can refer your friends to earn more. Fill the tiny form that appears (see the screenshot below). Enter "SITER" in the "invited by'' box. LifeSlide will display the permissions it needs, tap on continue. Now select the theme of the app(I went for the white). Well, like I said at the beginning of this review, LifeSlide is unique and here's the thing that proves it- Unlike other unlock and earn apps, LifeSlide does not interfere with your lock screen app. 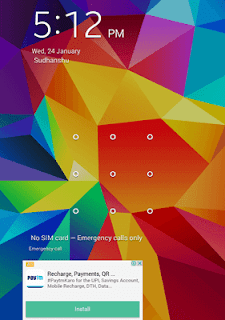 You can use any lock screen app or the native Android lock screen. How exactly does LifeSlide work? Well, instead of a custom lock screen LifeSlide shows ads on the lock screen that is activated. So, LifeSlide can even work with Slidejoy. Here's the screenshot to help you understand better. So, basically what LifeSlide does is it displays ads/promotions on your smartphone's lock screen and pays you in their own virtual currency called Lives. They are pretty annoying and may also slow down the mobile enable this at your own risk. You can close the ads by dragging them to left or right. Similar to Slidejoy you can also earn lives by viewing videos and completing offers. This is another feature that gives LifeSlide an edge over Slidejoy because the latter lacked the refer and earn system. You will earn 10% of your referrals earnings when your friend signs up using your Promo code. You will earn 6% of your friends' referrals too. In the daily event, you can win 50 to 100 lives depending on the event. In the daily event shown in the screenshot below. You need to refer 1 friend, unlock 60 times to get 50 lives. You can redeem lives for PayPal cash only. 1,000 lives are equal to $1. The minimum amount that you can redeem is $2. So, should you use this LifeSlide- unlock money-app or not? Well, because I used the app for a few weeks and observed that, I could only earn 2-6 lives per day. Which is very low compared to Slidejoy that pays around 10-50 Carats a day. So, if you're looking for the best app to earn for unlocking your smartphone, Slidejoy is the right choice.